Learn how to improvise a play in the style of William Shakespeare! The thought of improvising in this style might sound inspiring, impossible, intriguing, or intimidating. But this class will put you at ease with some enjoyable ways to learn the skills of bringing this classic genre to life. You will gain familiarity and confidence with the language and style. The class will culminate in an entire play improvised in the style of the Bard. 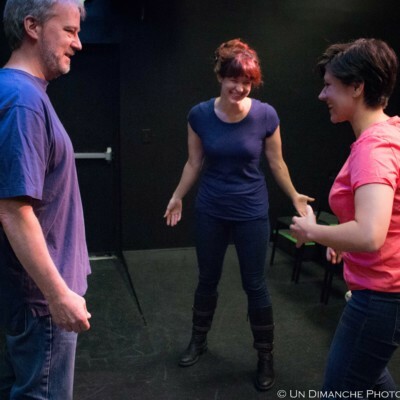 Prerequisite: Amanda’s Narrative Improv class or instructor permission. Amanda has a knack for making learning fun more than any other improv teacher I've worked with. Whether teaching or performing, Amanda brings the kind of openness and warmth to the room that is the heart of honest improvisation.